Guests: President George W. Bush and Bill Fleckenstein both have discussions about the bailout. Come listen in to a mashup of Andrew and President George W. Bush and then Andrew has a terrific conversation with Bill Fleckenstein exploring his brilliant commentary on the markets and his thoughts on the bailout. 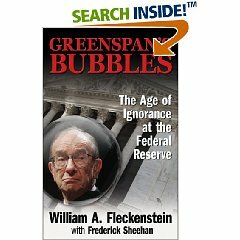 Bill Fleckenstein is the president of Fleckenstein Capital, which manages a hedge fund based in Seattle and author of Greenspan’s Bubbles : The Age of Ignorance at the Federal Reserve. He also writes a daily Market Rap column on his Fleckensteincapital.com site as well as the popular column Contrarian Chronicles for MSN Money. What is the exact cost of the bailout? When is it going to be signed into law? Is this really going to help?